Advancements in technology have made streaming video possible just about everywhere, to all of our portable devices—in our cars, on airplanes, and thanks to the advent of the smartphone, even in our pockets. But sometimes the quality of that video leaves much to be desired; at best, we might muddle through a short YouTube video after a lengthy buffering process, or we’re able to stream a live feed from a Facebook friend with only one or two annoying interruptions along the way. Issues with the quality of online video streaming are nothing new. But when you settle down on the couch to watch your favorite movie streamed conveniently from your laptop or you’re standing in front of your colleagues with a video presentation in the queue, the last thing you want to deal with is interference. So what exactly is latency, and why does it matter? In the world of online video and gaming, latency can be a real deal breaker. It can mean the difference between being able to successfully execute an important video conference in real-time and being completely in the dark as to what the other party is trying to say. In terms of video streaming, end-to-end latency is the total delay, or total time elapsed between when a frame is captured on a transmitting device and the exact instant when it is displayed on the receiving device. Latency is typically expressed in terms of time, most commonly in milliseconds or seconds. By definition, Zero Latency means there is no delay between the time the request is started and when the response takes place. The GartnerGroup’s explanation goes a bit deeper and focuses on the exchange of information between parties across organizational and geographical boundaries in real time. To put Gartner’s definition in context, zero latency means there is no delay whatsoever between the video on your device and the one being broadcast to your television—even if that transmission is occurring from 100 feet away, through walls, ceilings, and floors. When it comes to video streaming, no latency is the proverbial holy grail. How Does Latency Impact the Viewing Experience? When you stream video from your device to your HDTV, the quality of your viewing experience depends upon whether or not you get a consistent, quality stream free of buffering delays, interference, and unwanted breaks in the script. When you’re in the middle of your favorite binge-watching session and your video gets stuck with that spinning pinwheel of oblivion, you’re experiencing latency. 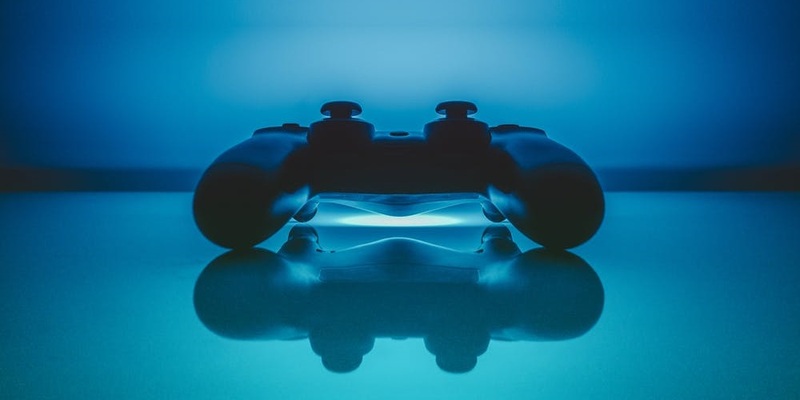 Latency is even more of problematic when it comes to wireless transmission between devices, especially in gaming circles and during other real time video communication. Wireless transmitters and receivers that have higher latency simply aren’t suitable for the lightning-fast, real time streaming required of gaming environments—and they can completely ruin a video chat session by making the entire conversation impossible to understand. When is Latency Perceivable to the Human Eye? 1. Less than 100 milliseconds—or 0.1 second—is perceived as instantaneous and in real time. 2. Anything less than 1 second is high quality, and feels engaging and interactive to the user. 3. Latency greater than 10 seconds is enough to completely disrupt the experience and cause the user to lose interest. Fortunately, wireless HDMI transmitter and receiver systems have come a long way when it comes to latency. 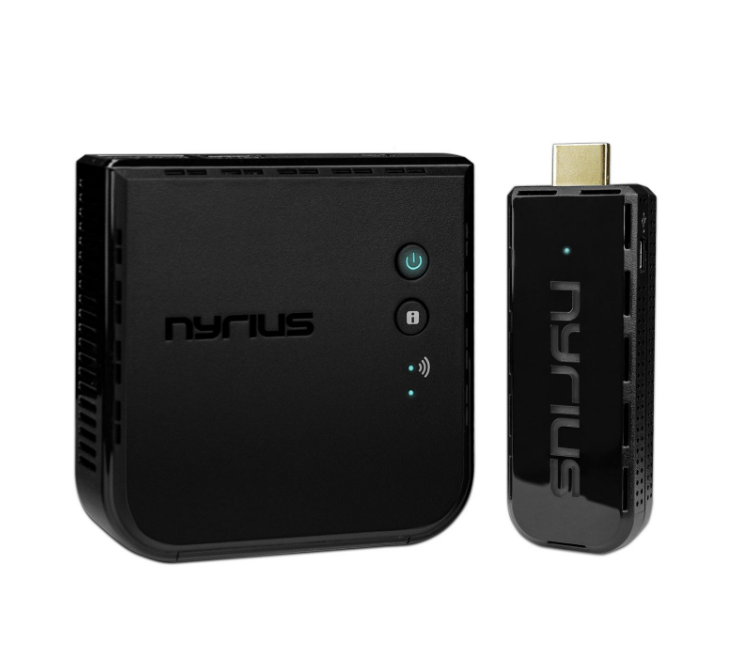 Since humans perceive latency at less than 100ms as instantaneous, Nyrius set out to go even lower for the ultimate real-time viewing and streaming experience. The new Aries Pro line boasts an incredible latency of ≤1 ms—a level totally imperceptible to the human eye. With Aries Pro, you get the highest-quality wireless HDMI available through uncompressed, razor-sharp high definition. Along with an unparalleled video streaming experience, Aries Pro gives you the freedom to place your HDTV virtually anywhere without the inconvenience of cumbersome cables or the limitations and expense of being tied to the cable box. To learn more about Nyrius and the Aries Pro line, visit here.